Don't miss out on these education funding opportunities for you and your children. Application deadline is by June 3, 2019. Learn more (access fellowship and scholarship applications). Securing a quality education is the best investment you can make for your career advancement in human resources. This is why IPMA-HR is offering two renewable (up to $2000) Graduate Study Fellowships to two exceptional members, who are pursuing graduate studies in public administration, business administration, the law or a related field. The Fellowship is renewable for a maximum of one academic year, subject to evidence of maintaining grades of B or better or a GPA of 3.0 or better. During the second year, fellowship recipients must remain a member of the association. Note: Ph.D. candidates are not eligible for the Graduate Study Fellowship. We also want to encourage the younger generation to pursue rewarding careers in public sector human resources, therefore IPMA-HR is offering the children of two members $1000 in undergraduate scholarships. 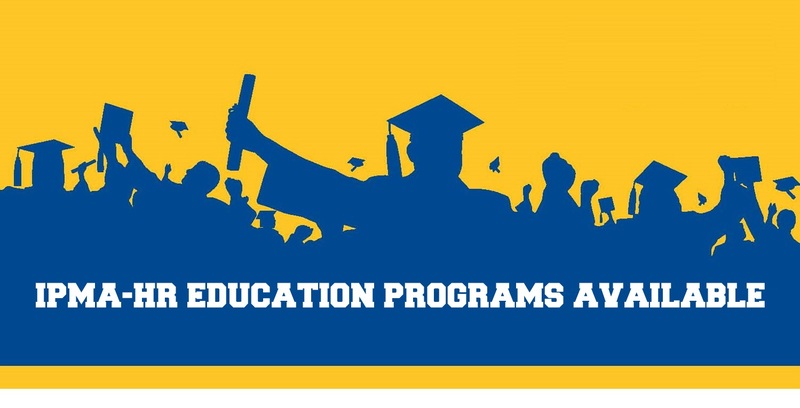 Recipients must be seeking undergraduate degrees at accredited colleges and universities with preferences being given to students seeking degrees in human resource management or public administration. A parent or legal guardian of the applicants must be a current member of IPMA-HR and have maintained membership for at least the last three (3) years.